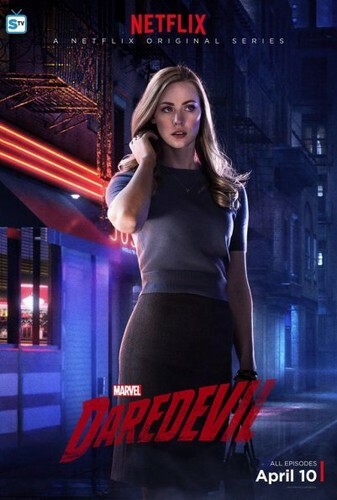 Character Posters. . Wallpaper and background images in the Daredevil (Netflix) club tagged: photo marvel daredevil season 1 karen page deborah ann woll character posters. This Daredevil (Netflix) photo might contain レオタード, ユニタード, ボディスーツ, キャットスーツ, 猫のスーツ, ボディー スーツ, タイツ, レオタード, and ビスチェ.